Yes, everyone in first class wears an “i’m rich” uniform, and if you’d like to join them, you should wear a suit too. If you believe that, you may also believe that the non elastic three piece suit, blouse, dress or whatever you’re wearing is as comfortable as the person in sweatpants sitting next to you- in economy. No one is getting upgraded based on what they’re wearing these days. Even if they think they are- it’s because of something else, not the clothes. Sadly there’s no money back guarantee involved here, but this totally works, so if you don’t do it, you’ll be missing out. Being polite, upbeat and handing a $20 (or more) over with your credit card and ID has lead to more room or suite upgrades than any other “trick” in the book. If there are better rooms available, and they’re not yet assigned to anyone, it’s almost guaranteed that something about your stay will be upgraded. If not a bigger room, maybe a bottle of wine. In Vegas, it’s almost an institution! Paging seat 47B? Yeah, if you fall for this, you can enjoy the very worst seat- squeezed between the middle of the two most unpleasant people on the plane. 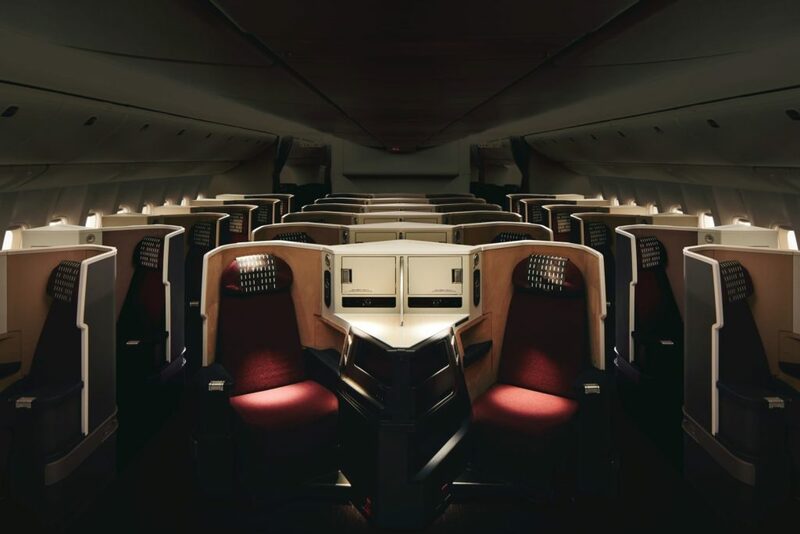 Though it can work out every blue moon, not assigning a seat is a sure fire way to get one of the worst seats, and it’s definitely not going to make you more likely for an upgrade. If anything, it will only make you more likely to get bumped off your flight if it’s oversold. Uncomfortable seat, and extended airport wait? Yikes. Incorrect! It’s the opposite actually. Airlines vigorously protect the prestige of their first and business class offerings, so upgrading people just because there’s space is not going to happen. Upgrades happen most frequently when all seats are taken in economy- and someone needs to move. If you want a shot at an upgrade, search for full flights using ExpertFlyer, if you happen to have elite frequent flyer status, it’s not a terrible bet! Previous ArticleCameos And Comedians: British Airways Newest Safety Video is A Must Watch. Contrary to Myth#5, on some airlines like Air India you can pay for an upgrade upon airport check-in. These can be quite popular depending on the flight since you can upgrade any economy ticket to business class for cash. Of course in this case, there has to be availability. You’re absolutely right, especially with #2 and #4. I have seen blog posts where the author says dressing up can get you a FC seat. What a crock. That is completely untrue. That hasn’t happened since 1985. With planes running at extremely high load factors. There just aren’t many FC upgrades to be had. Sure, there are some when its a 45 minute puddle jump from Podunk to a hub, but who cares about FC on a tiny RJ on a super short flight? The transcon flights are the ones you want FC on and those are NEVER given out based on CLOTHING. Great article. Keep em coming. Agree, specially #5. I flew to Nepal via Oman Air and the return flight was full. I was the only passenger in business class on both the outgoing and incoming flights but they did not allow a couple who was begging for an upgrade showing the flight attendant their card to prove they belong to the airline’s mileage program. What works for me most of the time is bookiing an economy flight instead of business class, and 4 out of 5 flights, I get an offer via email 1-7 days before my flight or from the airline website itself when I check in, an upgrade using my miles or by paying minimal $$$. For example, I booked an economy flight last May to Manila from Abu Dhabi via Etihad for $280 because the price for a business class was $2,200 which I found ridiculous. Four days before my flight, I got an offer via email to upgrade the flight to business class for $422. I only paid a total of $702 instead of $2,200 for a 9 hour flight. I’m not sure if these works for everyone or the reason I get it is because I fly a lot and book business class when the flight is 6 hours or more. Thanks for sharing and busting these common myths.